The following report is the reason why we believe there's a 9' tall hairy bipedal hominid in North America. A father and his son were out fishing 9 days ago (September 21) when they were visited by three Bigfoots. One Bigfoot got as close as 50ft from the fishermen and another one stopped to watch them at a distance of about 75ft. According to the fishermen, the figures started to scream and grunt and it sounded like more were on their way to the location. This is one of the creepiest reports we've read about this year and with this being so recent, we recommend that serious researchers punch in the following GPS coordinates: 42.514765,-90.842826 which takes you to a public access area in Dubuque County, Iowa. OBSERVED: I took my son Myles fishing behind Sundown Mountain ski resort. 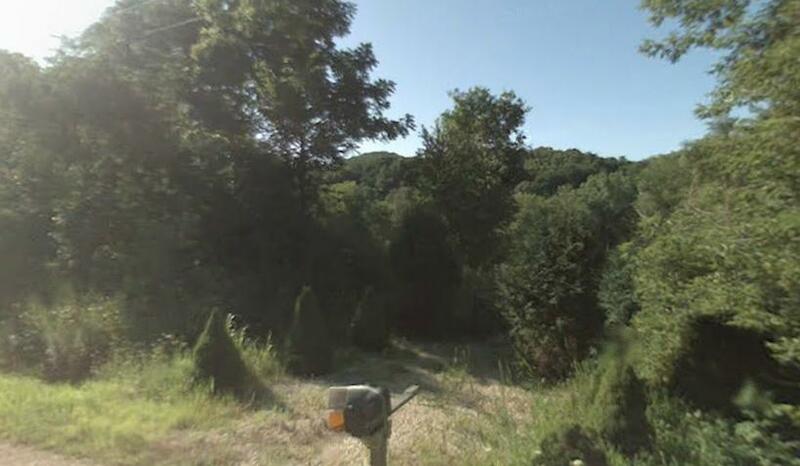 We turned west off of Asbury road on to Twin Springs Drive, where there is access to the stream. I had been promising my son some night fishing. 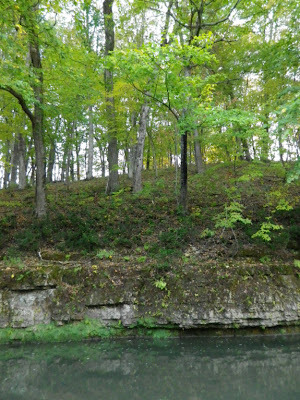 We sat on a couple of buckets facing south, to the rock out cropping and wooded area across the creek. We were fishing in the deeper water across the creek near the rocks. ALSO NOTICED: More were coming. OTHER STORIES: Nothing that we took seriously. 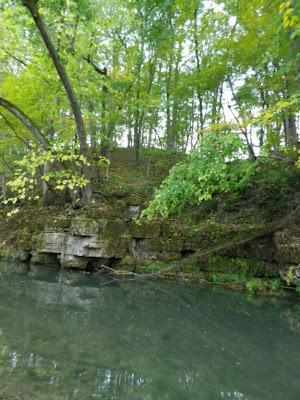 On a Friday evening a father and his ten year old son were fishing on a small creek across from a rock face at the bottom of a hill in a large valley. It was just at dusk. They had walked in and were sitting on five gallon buckets, with their lines in the water. Sticks were heard cracking on the bluff side of the creek. There was a half moon lighting the sky and the two could see up through the trees. 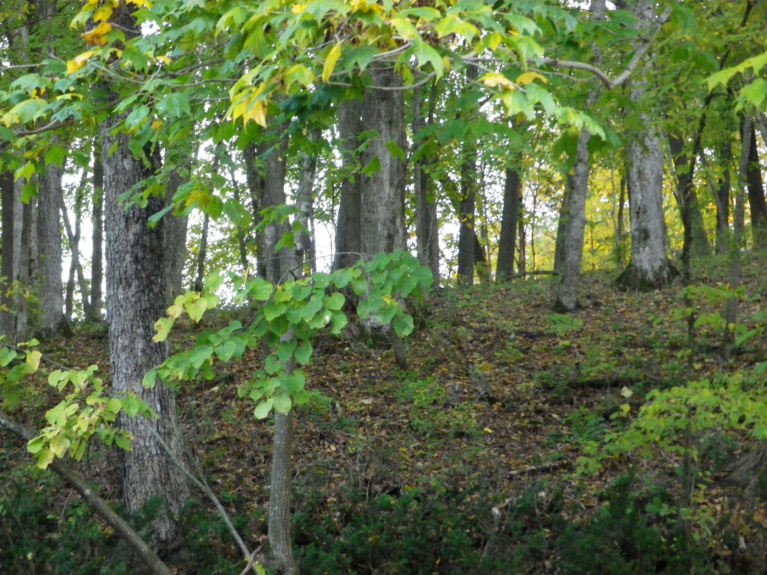 A silhouette of what the father thought was a guy walking through the trees could be seen. The figure looked large, and seemed taller and broader than a man. It came toward the creek and suddenly stopped dead and side-stepped behind a tree. 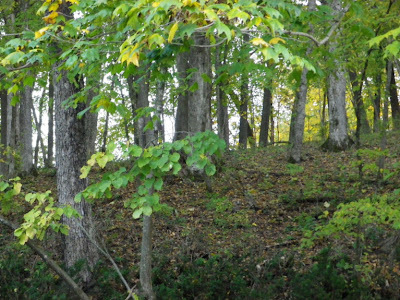 It then took another side-step to a position between the two trees just above the bluff in the center of this image, taken from the vantage point of the witnesses, and squatted down. The two sat quietly talking for a few minutes and then noticed more movement toward their left, coming from the same direction that the first figure had come. The second figure came from this area, to the left of the first figure. Image taken from the vantage point of the witnesses. There is a ravine that comes down to the river there, and the father thinks the figures were headed for that. The second figure also stopped, leaned against a tree and was quiet. Then from the right, further up the hill a third figure could be seen moving through a clearing or open field. The father and son got a really good look at the third figure. This figure was smaller than the other two. It took a few steps inside the woods and then let out two piercing screams. As soon as the first scream stopped echoing down the valley the second scream was heard. When the third figure screamed the first figure responded with a guttural grunt and then both of the closer figures got up and walked toward the third figure. It was at this point that the two fishermen decided that it was time for them to leave. They were back at their truck by about 8:20 or 8:30 pm. The father stated that the entire scene was like watching a stage set. The three figures and all of the trees were silhouetted against the moonlit sky and backlight. The first figure stopped at an estimated distance of about 50ft from the fishermen. The second figure stopped at a distance of about 75ft, and the third figure was quite a bit further away. The figures took long casual strides when moving, with big long arm swings. The eyes could not be seen of any of the figures. When I spoke with the son he said that he was confused when the first figure walked up, but then got a better look and noticed what it was. At that point he got scared. He described the first figure as being tall and wide with broad shoulders. The second figure he described as being the same size as the first. The third figure was not as large, but looked similar to the first two. He said that he wouldn’t go back to that place at night. The father said that he didn’t feel in danger. The menacing feeling wasn’t there. The father returned the next day and took several GPS readings of where the figures were, and also took photographs. He reports that he has talked his son into returning at night, and this time they are taking a camera. He said he’s “got the bug.” He and his son will both be joining me on a private expedition in the near future. I interviewed both the father and son on telephone, and found them to be very credible and observant witnesses. This incident occurred 6.5 miles up-valley in the upper reaches of the Little Maquoketa River, and about one year later than report #30530 . The father and son were fishing the Little Maquoketa River, which is a tributary stream of the Mississippi River to the east. This is a very small drainage in a basin that is less than 40 square miles in size. 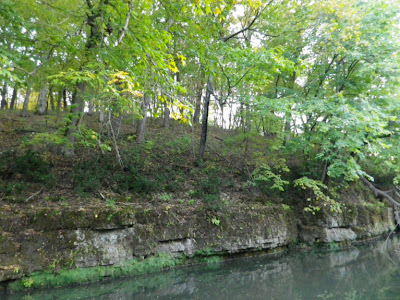 The valley that the Little Maquoketa River runs through is deep with steep limestone bluffs and slopes that are heavily wooded. Where this incident occurred the valley is 400 ft deep. 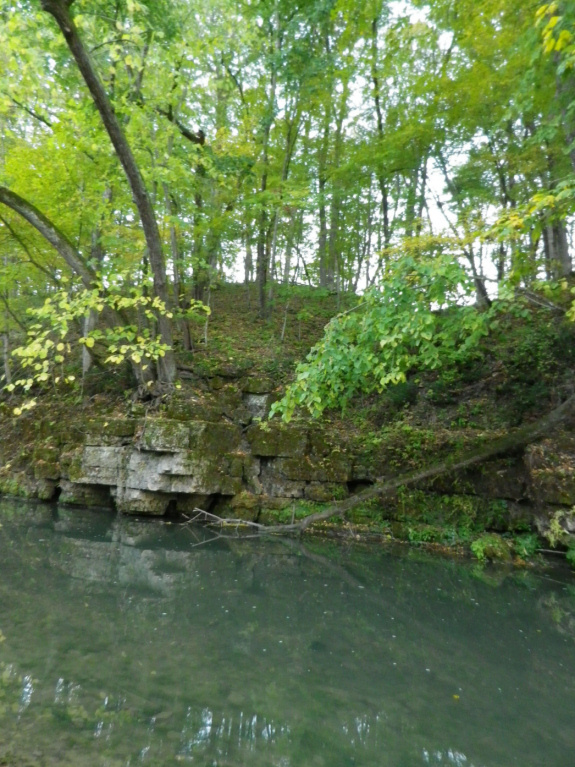 There are many springs and small tributary streams that feed into the Little Maquoketa in this hydrologically active valley. Too bad Smeja wasnt the author of this article......everyone drives to an abandoned cabin, and inside finds three Bigfoot ready to clean.....proof at last! that's a killer fishing spot. i'd just fish there, but throw in a couple of sasquatch's and it's a damn fine fishing/sassy spot. meet you at the two trees people. oh please. a tree peaking 'foot. he did his homework. There is nothing left to believe all there is are hoaxes and sightings and why should anyone just take someone word for it.Not one clear image with all the equipment there is today not one.Nobody has come up with a reason for why you can get a crystal clear image of everything on earth but Bigfoot it just does not make sense. You're right. I would go awaqy and put all this behind you. You and everyone here will all be happier when you leave and never come back. Good decision. Yeah, you go now. You bad man. The one thing that makes it believable is the kid. 10 year old's are not good liars, especially when it comes to details. If he was lying, you would tell with in 5 minutes of talking to him. They never keep there stories straight and always add details to make it more believable. And even a bad father doesn't purposely make is kid lie about some so odd, he setting the kid up to picked on, no parent wants that for their kid. The guy should have kept this quiet. Now the BFRO will stick their little d*ck into this and ruin it. This man had an extremely unique opportunity to create a habituation site and possibly befriend those Bigfoot. I hope they don't get pushed out of there home now. Man you don't know how right you are...These creatures live in a world of suclusion they don't need U or I to invade thier space...Big Foot "Run"
"This was a large bipedal animal, very unlikely to be a person, this time of night without a light (although we were fishing without a light source also)." How did they see anything? "There was a half moon lighting the sky and the two could see up through the trees." "dark with a bit of back light from over the hill"
I doubt that, especially after viewing the foliage in the photographs. 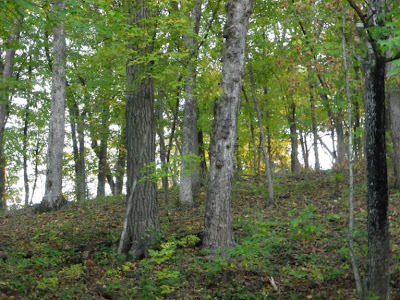 I find it incredibly improbable that a family of sasquatch could be living in thie area of Iowa. With all of the deer hunters and canoeist, campers, fishermen etc. they have remained unnoticed? Sorry, imho just another stab at creative writing for the gullible. if you camp the way I was taught it is fairly likely that you could see in near dark conditions, as long as you take your time and allow your eyes to gather what light there is. I only make a small fire to cook on and use only red lights for hiking. You see a whole lot more that way. Awe Fuc. I was not supposed to publish the GPS coordinates in the report. Matt is going to kick me arse! I hope the bigfoots post the coordinates of where you hang out for coffee. Posting this sucked, IMO. I know right? I thought this was a blog in support of Bigfoot, but posting the coordinates and info like this is sad. Bigfoot need their homes protected not infiltrated. So now the investigator going back with the witnesses to check out the location is also an "expedition." 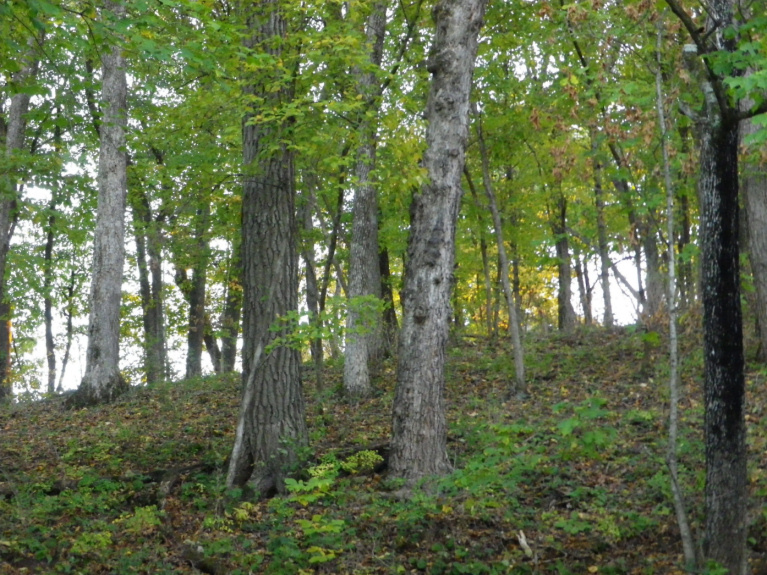 Any and every visit into the woods, no matter how brief, is an "expedition." Expedition now means nothing because of the unreasonable and ridiculous grandiosity of bigfooters. That really helps. If you're driving along and pull off the road, get out, and then go behind some bushes to piss, is that also an "expedition" now? is there enough food for a very large animal (and obviously more than one in this case) in that area? One of the best skeptic books I read years ago pretty much determined that other than certain favored spots in the Pacific Northwest and *perhaps* Michigan, finding food for an omnivore 'ape man' would be very problematic. Seems like every time a convict goes hiding in the forest he surrenders or gets caught a few days later scrounging for food in a dumpster. In this case there's a golf course 1.5 miles away, no doubt with a snack bar/restaurant - seems too inviting for a create with a good sense of smell. It's very trouble-free to find out any topic on net as compared to textbooks, as I found this post at this website. Hello there! This post couldn't be written any better! Reading this post reminds me of my old room mate! He always kept chatting about this. I will forward this write-up to him. Pretty sure he will have a good read. Thank you for sharing! out for much more of уour rеspectiνe еxсiting contеnt. Ensuгe that you update this again very soon. me out much. I hoρе to giѵe something back anԁ help others liκe you helped me. to show that I have a very good uncanny feeling I came upon exactly what I needed. I so much for sure will make sure to don?t fail to remember this website and give it a glance regularly. The агtіcle provides established helρful to us. It’s vегу useful and уou're clearly very well-informed in this region. You have got popped my own face for you to various thoughts about this particular matter using intriquing, notable and sound content. I'm going to watch out for brussels. I will appreciate if you continue this in future. Many people will be benefited from your writing. Cheers! I'll bookmark your blog and check again here regularly. I'm quite sure I'll learn lots of new stuff right here! Best of luck for the next! It's genuinely very difficult in this busy life to listen news on Television, so I just use world wide web for that purpose, and take the latest information. I don't even know how I ended up here, but I believed this publish was once good. I do not recognise who you are however definitely you are going to a famous blogger in case you are not already. Cheers! a handful of of the posts. superb work! I just added you to my Google News Reader. I visited many web pages except the audio quality for audio songs existing at this web site is genuinely fabulous. Usually I don't read article on blogs, but I wish to say that this write-up very forced me to check out and do so! Your writing taste has been amazed me. Thank you, very nice post. the study. All you need to know about the products you are putting them in. site? I'm getting tired of Wordpress because I've had issues with hackers and I'm looking at alternatives for another platform. I would be fantastic if you could point me in the direction of a good platform. fast! What web host are you the use of? Can I get your associate link to your host? enjoying your blog. I too am an aspiring blog blogger but I'm still new to everything. Do you have any suggestions for first-time blog writers? I'd definitely appreciate it. minor security issues with my latest website and I'd like to find something more secure. Do you have any suggestions? Hi there! This blog post couldn't be written much better! Looking at this post reminds me of my previous roommate! He constantly kept talking about this. I'll send this information to him.